“I agree with you that if you watch or read the news you are bound to think that we are heading down. And like you, I don’t read about the gloom and doom nor do I watch it on television. “Strokes seem to follow the female side of (my) family. One bit of information that the doctor told my mother after her stroke was ‘Don’t watch the news and especially don’t watch it at night.’ I do believe that watching all the drama will increase your stress level and will project onto your inner screen a feeling of hopelessness. “To develop our own personal heaven we have to stop dipping our toes into the negative waters that pollute the consciousness (and) that require constant filtration. “It is so easy to get caught up in mass hysteria. I have often thought how nice it would be to have a channel or a newspaper that tells us about all the good things that happen. The things that cause ‘happy chills’ and bring tears of appreciation for the beauty and compassion that so many people give to one another. 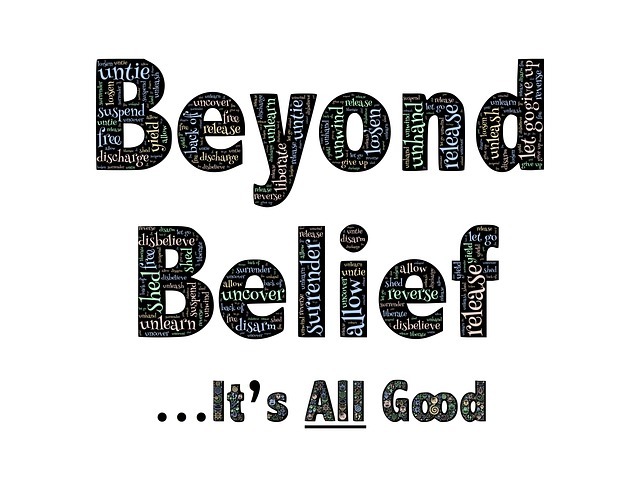 “I choose to believe that there is more good that is never reported because ‘good’ doesn’t sell. “Thank you, John, for being in this world and for publicizing the good news, showing us how to live a life that promotes heavenly thoughts. Can we create heaven on earth? Or, perhaps, it’s already here—and all we need to do is open our eyes to see it. Eckhart Tolle is one of my all-time favorite spiritual teachers. Here he is talking about the mainstream news media, in a hilarious and yet insightful way. He speaks of Arianna Huffington and the transformation her news empire, The Huffington Post, is undergoing. Loved the article Cinda wrote, and always find great love, compassion, Hope and Joy in all your writings, John Cali. None of us meet by accident…I feel spirit brings us altogether for increasing the goodness, love, and lessons and walking through Fear doors of many kinds, yet further lighting our hearts with a joy and knowing from spirit that we live on forever and nothing of value is ever destroyed as our energy of love and spirit transforms for eternity to the source of All that is GOD. Thankyou for your lovely Greatwestern publishing site, your spirit of shining light….and for sharing spiritual wisdom . Thanks very much, Karen, for your kind words. I cannot take all the credit for this website. All of you, our readers, contribute your energy, love, and wisdom to help make it what it is. Thanks very much, Andy! I just signed up for it — and I’d highly recommend everyone reading this do the same. It sure beats the mainstream news media — by far! This is such an important topic at this stage of our’s and the earth’s ascension. The old ways of duality are all stirred up and we seem to see more of it every day, quite frankly, I am surprised at what is being exposed. One thing I’ve learned, for me, anyway, is that we radiate light, like a lighthouse, and what and how we feel inside is what’s being reflected back to us. All energy is neutral and so we put our own spin on it and so that is what we see. Like they say, if 100 people see an accident, you get 100 different versions. We truly are creators but if we become aware that we are creators, then our lives really begin to open as we access all dimensions. Thanks very much, Jerry, for your words of wisdom. I agree — what we create within ourselves is what we project outward into our “reality.” As you say, we all have our own versions of life. I really believe the Universe brings us blessings. We need experiences to wake us up and see how life can be wonderful. After I divorced, I had breast cancer. In going through treatment, each day when I did inspirational reading, I would write a four line poem beginning with “When I say ‘YES’ to life.” I wrote about 400 of them. They were put into an app for inspiration each day. I am healed now; as a result, I have compassion for others that I would not have had if I had not had the experience. It is all GO(O)D! Thank you. Thanks very much, Barbara, for sharing your beautiful healing story. If your app is available for sale, please feel free to post about it here, including a link. I know there are many of our readers who could benefit from your experience. Thanks very much, Pat. I love that Bobby McFerrin song! You’re welcome, John. Me too. I’m glad you enjoyed the video, Pat. It’s one of my favorites.